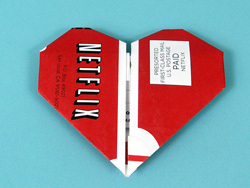 I’m a huge fan of Netflix. If you haven’t checked them out, I would totally recommend them. They have a pretty extensive collection of anime and Japanese movies. Right now I have All about Lily Chou-Chou and The Calamari Wrestler waiting to be watched. One thing you will notice about the Netflix envelopes they send you in the mail is that the outer flap usually gets thrown away because it’s just advertising some movie or special promotion. 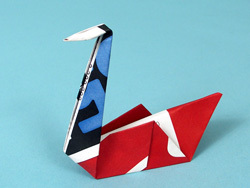 However, one site has come up with a creative use for the flaps, origami! 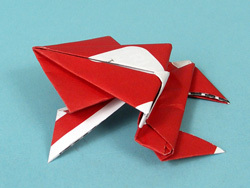 Here are a few of the creations from Netflix Origami. 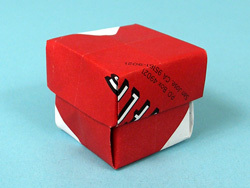 They even offer instructions on how to make each one. I may have to try a few with my next set of Netflix movies. Is that a UFO? No, its a QFO.